Should the UK ban new drivers from taking passengers? 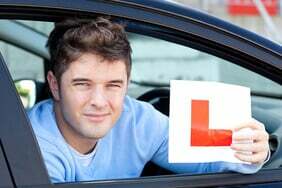 You’ve passed your driving test and are ready to hit the open road, but will you be safer driving solo? One in four new drivers between the ages of 18 and 24 has an accident within the first two years of passing their test, according to the road safety charity Brake. This is one of the reasons why car insurance prices tend to be higher for younger drivers. In addition to a young driver’s lack of experience on the road, the distraction of passengers can prove a serious hazard. Driving a car full of peer passengers increases the risk of a fatal accident for newly qualified drivers by four times, compared to driving alone. This is according to research from the Cheshire Safer Roads Partnership, which represents nine local agencies working to save lives on the roads of Cheshire, Halton and Warrington. And being the “first” to pass within a group of friends can bring added pressure. This is especially true if you’re expected to be the designated taxi service or drive drunken friends home after parties. In Northern Ireland a new package of driving rules and restrictions, in the form of the Road Traffic (Amendment) Bill, was passed by the Northern Ireland Assembly in January. Part of this includes a six-month passenger restriction for new drivers under the age of 24, which prevents them from carrying more than one passenger, aged between 14 and 20, between 11pm and 6am. However there will be exceptions for family members or in emergencies. The Association of British Insurers (ABI) is calling for similar changes to be brought into effect throughout the rest of the UK. 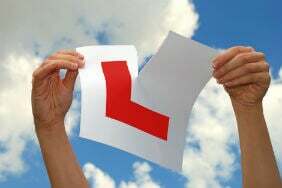 As part of its “Campaign For Safe Young Drivers” it also wants to bring in changes to the driving test system and impose a minimum one-year “learning period”. 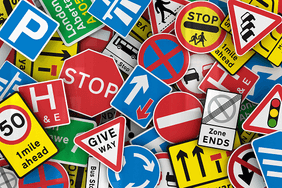 “This raft of proposals would make up a ‘graduated driver license scheme’ of the type seen in Canada, the US and New Zealand”, said an ABI spokesperson. 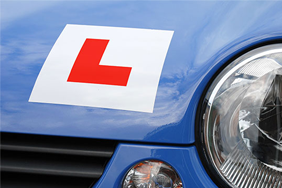 Graduated Driver Licensing (GDL) is a scheme that enables new drivers to build up their skills and experience in stages. The scheme has the support of various motoring groups. The introduction of a graduated licence isn't just exclusive to the UK. Many other countries have adopted this with successful results. In Ontario, Canada, a study found that graduated driver licensing programmes resulted in a 31% drop in the number of crashes among drivers aged 16 to 19. There was also a 42% drop among 20 to 24-year-olds, according to the Green Flag breakdown company. However, the Department for Transport say it has no plans to impose restrictions on the number of passengers or time limits for newly qualified drivers.